The human side to rescue can be intense, frustrating and heartbreaking. 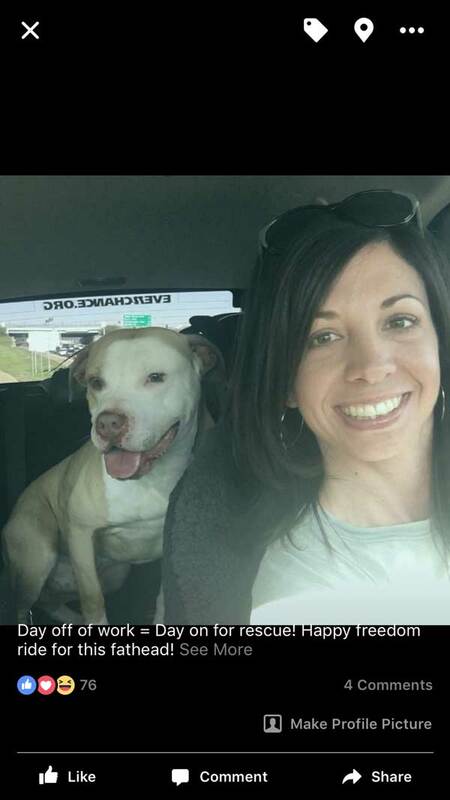 But sometimes the story has a happy ending and the job of an Animal Control Officer and Rescue Group can be more rewarding than you ever thought possible. That was the case with Otto. 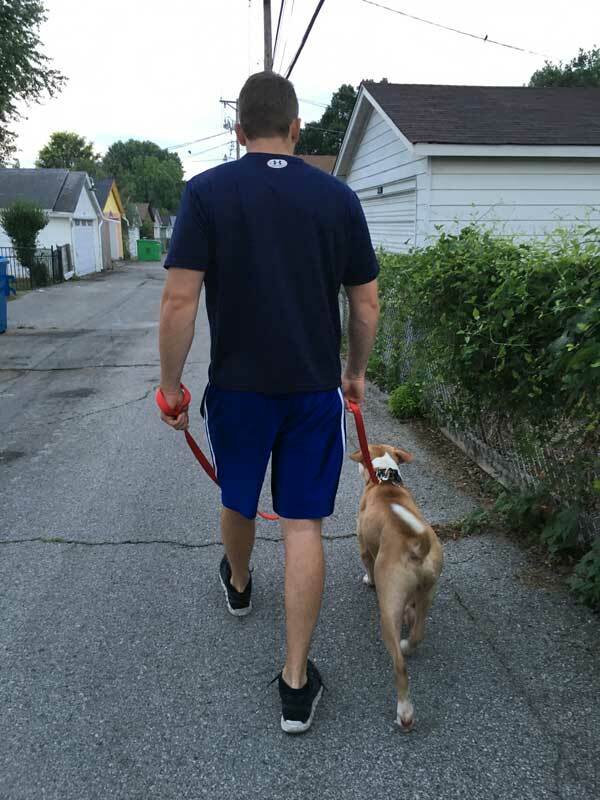 One night around 12:00am, Matt, an Animal Control Officer, got a call notifying him that a dog had been hit by a car on North Broadway. When he arrived on the scene, he found a lifeless dog who had been covered by a blanket. Matt inspected the dog carefully for signs of life, but saw none. Until he touched the dog’s eye, and he blinked! Immediately he scooped up the 55 lb. dog and rushed him to the emergency clinic, desperate to save his life. The dog was still nonresponsive when they arrived at the clinic. An ER team poked, prodded and catheterized him. They administered pain meds and fluids with no result. The only sign of life was the dog’s faint, labored breathing. In addition to his injuries, he showed signs of being a yard dog with a matted and indented collar ring, rough coat, sores and scarring up and down his legs and chest area. Plus he was extremely underweight with a body score of 2. 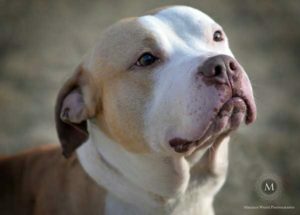 Matt and the team discussed his options: humane euthanasia to end the suffering or more time to give him a chance to pull through. Together they agreed there was something special about this blocky-headed dog and decided to give him some time to see if he came-around? Two days later, the dog started to come to. By day three he was lifting his head, eating, drinking and regaining bodily functions. Soon after he was released to the St. Louis City Animal Control with a clean bill of health and second chance. 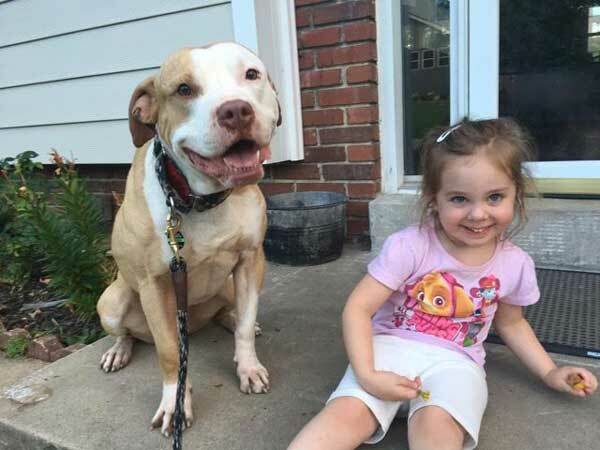 Throughout the ordeal, the dog developed a strong bond with his lifesaver as they shared special one-on-one time together each day of his recovery. Matt named the dog Otto. And as Otto healed, his personality started shining through. Together they discovered Otto’s boisterous energy and love of playing Frisbee in the yard. 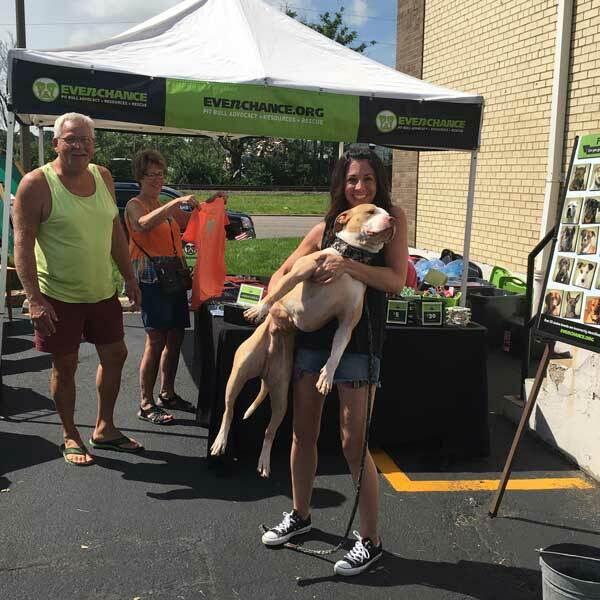 A month later, Even Chance Rescuers Jessi and Heather came to check out a few dogs they were interested in temp testing for the Even Chance Rescue. The original dogs they were interested in didn’t quite fit the profile for the home they had available. But before they left, they saw Otto and Matt playing and immediately noticed the intense connection between them. Matt was Otto’s world. He followed and watched his every move, waiting for Matt’s guidance on what to do next. 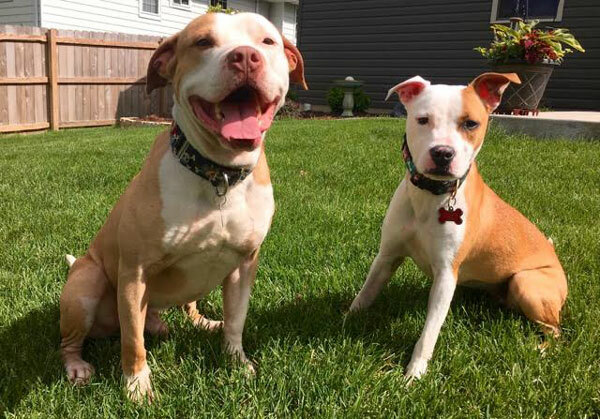 It takes an exceptional dog to form a unique bond like the one they shared, and Jessi wanted to know more. They pulled Otto’s dog-to-dog test and he had passed with flying colors. He was calm on leash and always looked to Matt for direction as the overly-excited tester dog approached him. It was clear Otto was a special dog – and not just to Matt. 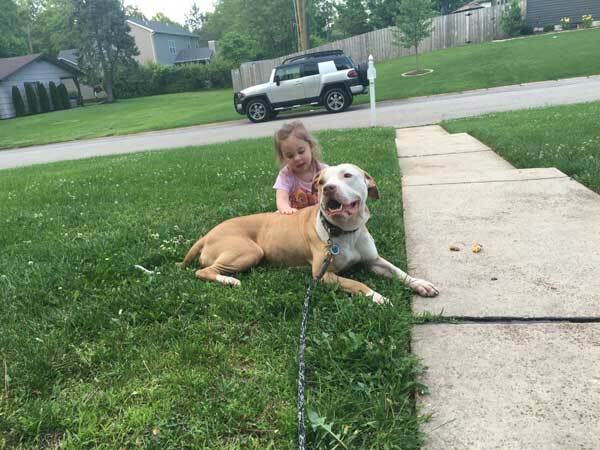 Here was a dog who likely had very little positive human contact or solid leadership in his past and in a matter of months has learned to trust, love and seek leadership from a person. From that moment, Jessi knew Otto had to come home with her. Otto’s human connection grew strong yet again. Though he LOVES everyone he comes in contact with, he showed his one-person dedication to Jessi. She lovingly refers to Otto as her “creep” dog because he literally sticks by her side like glue. 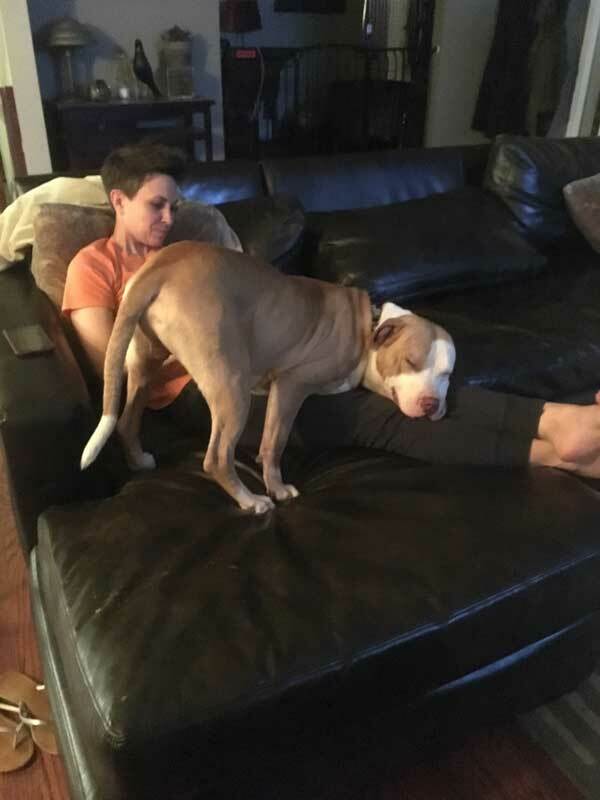 There were separation anxiety issues at first, but he has that mastered. He’s also mastered obedience training with instructors Deirani and Chris of The Canine Experience. Otto’s energy level rivals his immense loyalty and he’s the kind of dog who truly requires daily exercise (both mental and physical) in order to be a calm, non-destructive house dog. And walks aren’t enough. Matt had introduced him to the game of Frisbee to work Otto’s body and mind, and he became obsessed. This became a skill that Jessi worked to develop further. He’s a stubborn guy which made mastering the game of Frisbee tricky. 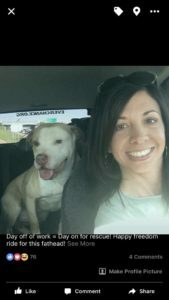 He didn’t want to give back a caught disc and took a “blind great white shark” approach to his catches – meaning he would jump to grab the disc out of Jessi’s hand with so much excitement he didn’t always watch where his mouth was going. 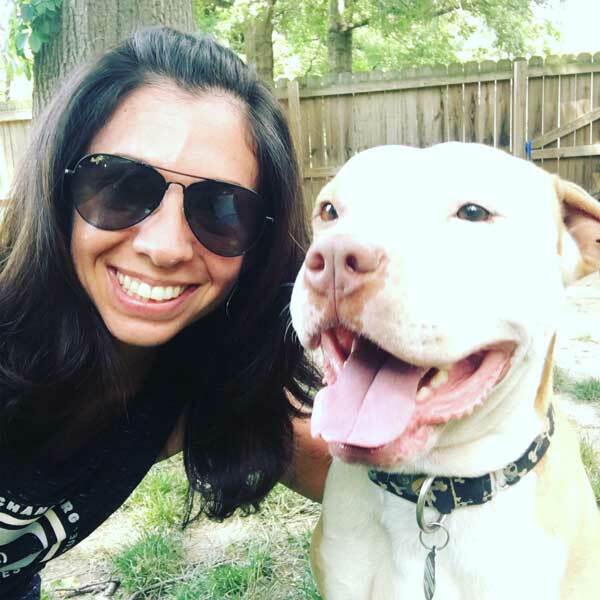 But, after working with some amazing Frisbee trainers, Danielle Etzel with Team Bravo K9 and Jonathan Offi with Incredible Dog Productions he has worked on his impulse control, tracking and is understanding the game – they practice everyday. 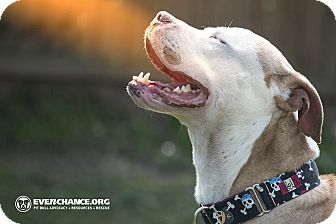 Even Chance was lucky to find a dog like Otto because he made such a great event dog with zero dog reactivity and a love of people. It was at one of these events at the Green Shag, where Otto met Dan and Melody. The young married Crossfit-loving couple had just left the gym and stopped by their favorite shop, The Green Shag, for the annual parking lot sale. But on this particular trip it wasn’t an antique that caught their eye. It was the strong and sweet blockhead, Otto. He immediately headed straight towards them, begging for pets. He leaned into Dan and showered Melody with kisses. The couple had talked about getting a dog, but just hadn’t found the right one who could keep up with their active lifestyle. Until that moment. Otto had found his way home. 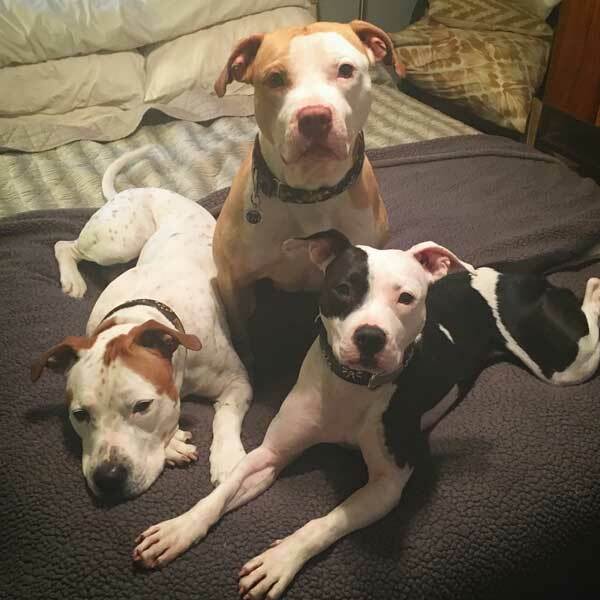 The trio did a trial week together, taking walks and playing Frisbee and ball every day. 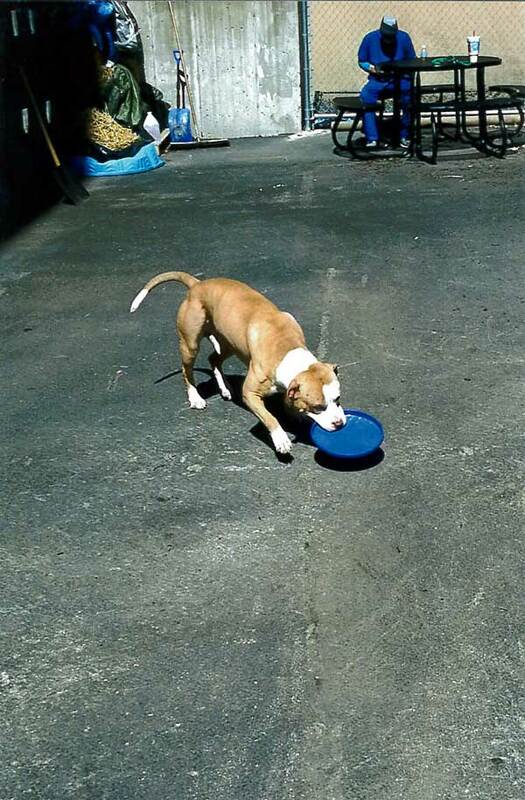 And his Frisbee skills aren’t they only thing getting stronger, his bond continues to grow with his new family. It’s clear that Otto is a very special dog, but it also takes very special people to see this amazing potential in a dog’s darkest moments. Otto’s recovery and human bond is a true testament to Matt’s dedication and compassion for his job and the dogs he encounters. 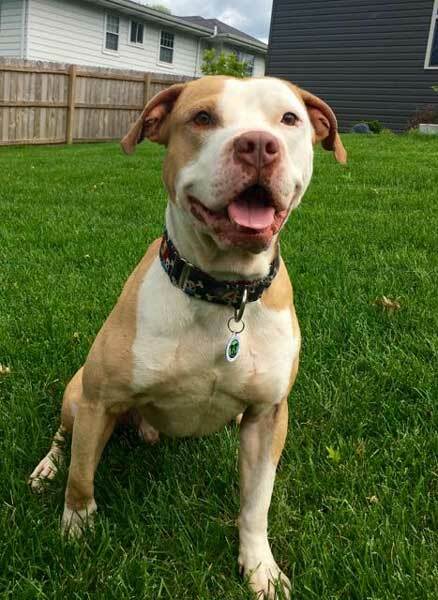 He not only gave Otto the chance for recovering, but also took extra time out of his day to play with a discarded, beat up, stubborn, brown pit bull in order to help the dog get through a tough transitional time of his life in a shelter while awaiting adoption. 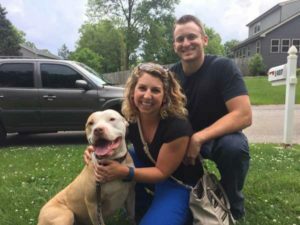 Plus, the love and patience Otto received through Even Chance helped shape him into the perfect dog for an active and energetic family. We’re so excited to see what the future holds for Otto and are so grateful for the heart of one Animal Control Officer who literally uncovered this adorable blockhead and gave him his second chance.